Looking to shake up your workout routine? You're in luck: we've found the freshest businesses in Los Angeles to fill the bill. Here are the newest places to check out the next time you're in search of a gym near you. New fitness spot Body Designs West comes courtesy of longtime personal trainer Bill Belott. The studio says it specializes in customized exercise programs that are tailored to each customer's individual needs. Body Designs West welcomes clients who have been sedentary and are looking to get back into shape, those hoping to reach weight loss goals and regular exercisers trying to step up their game. Body Designs West has been warmly received so far, with five stars out of two reviews on Yelp. Yelper Jose B., who reviewed Body Designs West on April 9, wrote, "Bill and Tracy really focused on my goals and needs, and created a plan that was specific for me. I recommend Body Designs West highly, to everyone." "Bill Belott is the best there is in the business. He's a real deal trainer who knows what he's doing and how to get results," Yelper Shannon A. said. "If you are looking for someone who truly cares about his clients and is the total package -- smart, sharp and a knowledgeable athlete with a sense of humor who knows how to get real results, look no further." HVY Industry is a gym and personal training spot that offers free consultations to new clients and training in boxing and mixed martial arts. Check out the company's website and Instagram page for more information about classes, scheduling and how to connect. With a five-star rating out of 12 reviews on Yelp, HVY Industry has been getting positive attention. "New gym that just opened up and it is BEAUTIFUL!" Yelper Dana P. wrote. "All top-of-the-line brand-new equipment with a modern/industrial vibe that is so aesthetically pleasing. If you're a gym junkie like myself you definitely want to check this spot out, you will not be disappointed." 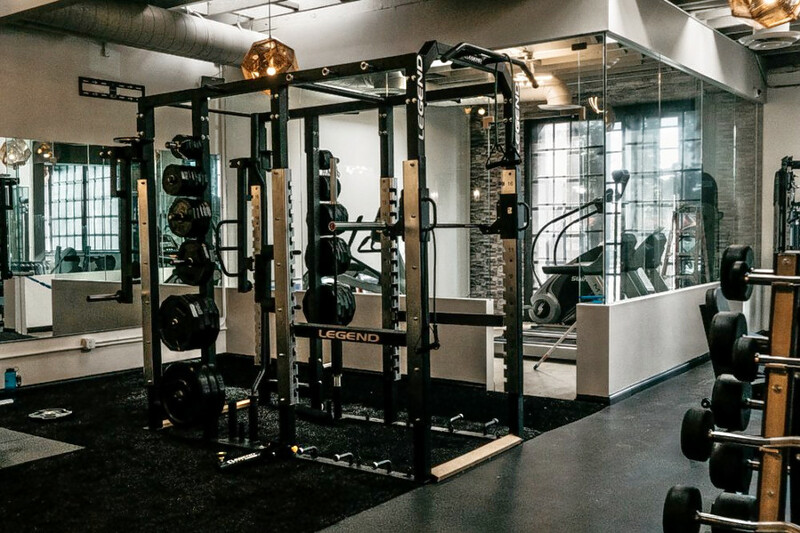 Yelper Steven W. added, "Simply the most comprehensive collection of equipment and trainers in an unexpectedly attractive, welcoming environment." Want to work out like newly minted Duchess of Sussex Meghan Markle? Stop by the new Lagree Fitness Studio, a gym offering personal training and cardio classes, with an alternate location in West Hollywood. 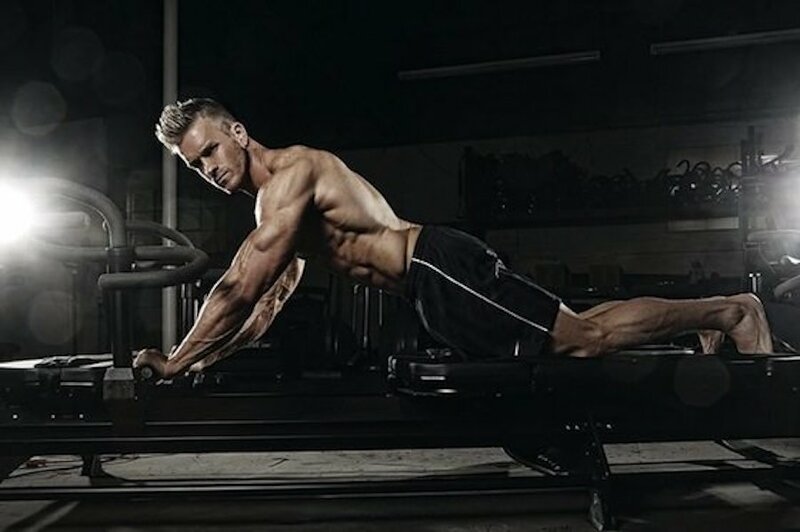 The gym specializes in core, endurance, strength, cardio and balance training using Megaformer fitness machines, patented by founder Sebastien Lagree. Markle is reportedly a fan of the machines, saying it's "hands down the best thing you could do for your body ... give it two classes and you will see a difference," per the Los Angeles Times. Members can either work out on their own or participate in classes taught by experienced instructors. Yelp users are excited about Lagree Fitness Studio, which currently holds five stars out of five reviews on the site. Yelper Lisa W. noted, "This studio did not disappoint. The equipment is new and clean, instructors are dedicated and classes are well structured." "Fantastic total body workout and you really see great results if you are consistent," Yelper Laleh J. said. "I also feel much stronger. This is a nice studio for those who live in the Westwood area. Wish the interior weren't all black -- it makes the room very dark. But I highly recommend this place." Lagree Fitness Studio is now open at 1001 Gayley Ave., Suite 104, so come by to welcome the new business to the neighborhood. Offering a one-hour, full-body workout that includes cardio and strength training, Orangetheory Fitness is a gym, boot camp and personal training spot with locations all over the U.S. The fitness studio specializes in high-intensity interval workouts based on heart rate, and clients are expected to burn around 500-1,000 calories in one session. During each class, participants rotate between treadmills, rowing machines, free weights and other equipment. Trainers guide customers to help attain personal goals, whether training for a marathon or trying to lose weight before a class reunion. This location currently holds 4.5 stars out of 35 reviews on Yelp, indicating good reviews. "Every time I talk about working out, I keep bragging about Orangetheory Fitness," Yelper Amr S. said. "The downtown branch is by far one of the best I've visited, from how awesome their coaches are, to how friendly their staff is. Clean equipment, great mentorship -- I could go on and on." Yelper Henri V. added, "The facility is always clean, organized and the staff are really nice. Will return and recommend." 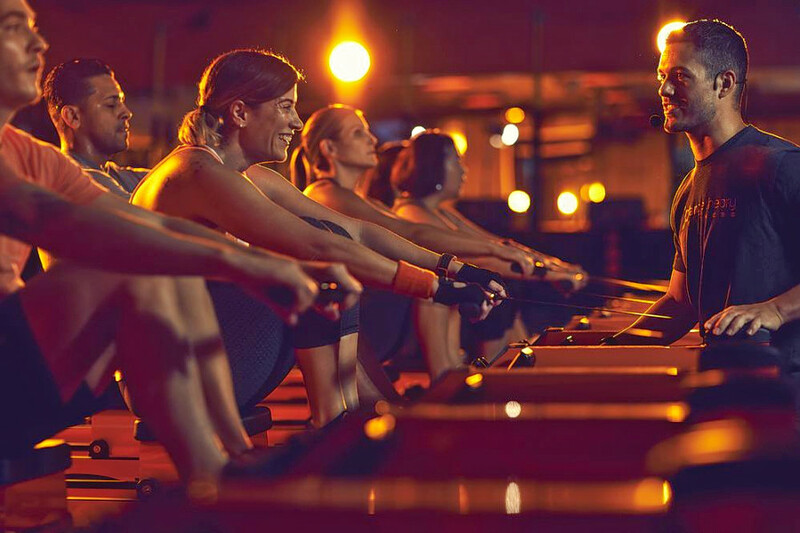 Orangetheory Fitness Downtown LA is open from 5 a.m.-9 p.m. on weekdays and 7 a.m.-noon on weekends.